Local filmmaker Howard Alk gets some overdue respect. CUTTER&rsquo;S WAY Alk works at the editing table. Alk is certainly not a household name and is remembered even less since his death in 1982, but he led a life that was quintessentially and uniquely Chicagoan. His mostly unheralded contributions to improv comedy and independent documentary film link him to two of the city’s most important cultural and artistic movements. 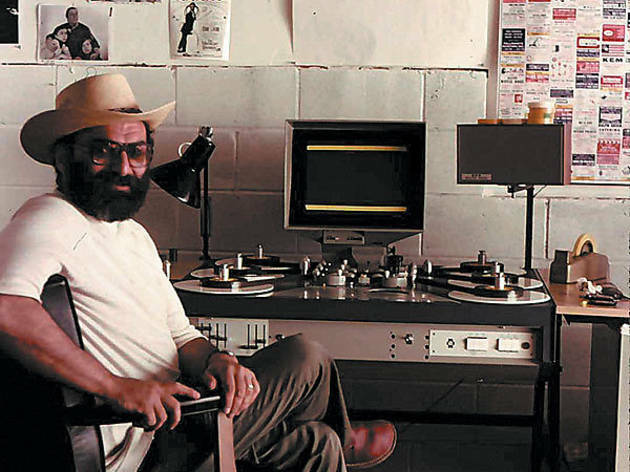 The Chicago Film Archives looks to offer a bit of a corrective with “Howard Alk: A Life on the Edge”—a retrospective of films Alk worked on, with a wide variety of guest speakers who knew him—that runs through February 1 at the Gene Siskel Film Center and the Chicago Cultural Center. In the 1950s, Alk was part of the heady early days of improv comedy in Chicago. He was a member of the Compass Players alongside Mike Nichols and Elaine May, and in 1959 cofounded Second City with Bernie Sahlins and Paul Sills (in his autobiography, Sahlins credits Alk with coming up with the name for the troupe). Alk’s interests soon turned toward filmmaking and the burgeoning folk-and rock-music scene. Ed Bland, a composer and author who had decided to put his ideas about jazz and black identity on film, asked Alk to help him bring shape to the footage. The result was the amazing The Cry of Jazz (1959). Bland says Alk “seemed mystified by the whole project” and was “a bit square” about black culture, but he was happy to be involved, listened closely to what Bland wanted and worked to realize that vision. Along with The Cry of Jazz, Alk worked on three other now-classics of Chicago independent documentary film—Mike Shea’s 1964 portrait of Maxwell Street, And This Is Free; the Film Group’s chronicle of the 1968 Democratic Convention and the activism of the Black Panthers, American Revolution II; and the influential The Murder of Fred Hampton (both of these with Mike Gray). Alk was the shaping force behind the politics of ARII, questioning the lack of African-American representation when he was brought in to make sense of the mass of footage Gray and others had shot. As Gray did with ARII, filmmaker Lerner turned to Alk to make sense of several years’ worth of footage from the Newport Folk Festival. 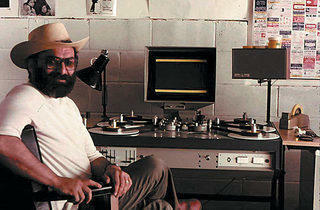 Lerner believes Alk “perfected his editing style” with Festival, which was nominated for a Best Documentary Academy Award. Lerner wanted to create a “new kind of film” in which the shape of the film was as important as the content—Eisenstein was a model—and found that Alk “had a great sense of musicality” in his editing, which allowed for a lightness of touch but also for offbeat and occasionally trenchant juxtapositions. Threading through the last 20 years of Alk’s life was his friendship and working relationship with Bob Dylan. They met in the early 1960s, and Dylan played at Alk’s short-lived club the Bear in 1961. By the mid-1960s, Alk was working extensively with Dylan—accompanying him on tour, shooting footage, editing, taking photographs—and assisting on the classic Don’t Look Back as well as Eat the Document and Renaldo and Clara. They were tied even more closely together with Alk’s apparent suicide in Dylan’s studio in 1982. Part of the value of this retrospective is the recovery of smaller films that are forgotten or overshadowed. Of special note are Search for the Lost Self —a commissioned film on children with autism and learning disabilities, directed by Lerner and edited by Alk, which is both joyful and heartbreaking—and My Friend Vince, Canadian David Rothberg’s portrait of a small-time booster and hustler that opens up in the second half into a fascinating meta-film about its own making and the moral equivalencies between theft and art. “Howard Alk: A Life on the Edge” runs at the Chicago Cultural Center and the Gene Siskel Film Center Friday 9 through February 1.